East Kent Road Car Co. Ltd. In 1936, East Kent received twenty examples of the Leyland TD4, JG 7010-29, all fitted with Brush L27/26R bodywork with curiously outmoded piano front destination displays (though these were rebuilt with conventional destination indicators before the outbreak of WW2). They were immediately followed by a further TD4 batch of fifty, but these had Park Royal L27/26R bodies, before deliveries switched to the newer TD5 model, sixty five of which arrived before the outbreak of war. In the post war period, East Kent extended the lives of many of these reliable machines by a rebodying programme using the products of Eastern Coach Works and Park Royal. In the picture above, taken in Canterbury Bus Station in 1961, TD4 JG 7017 with 1948 ECW L27/28R body (East Kent did not use fleet numbers, but took care to avoid the duplication of the number element of the registration) stands alongside two Guy Arabs. EFN 185 was one of a batch of forty Arab IIIs, EFN 170-209, with 6LW engines and Park Royal L27/26R bodies delivered in 1950. This was the style of body fitted to some of the rebodied TD Titans. The 1950 batch of Arabs comprised the last lowbridge double deckers to enter the East Kent fleet. At the far end of the line up, GFN 909 of 1953 was East Kent’s first example of the Arab IV with Park Royal H30/26RD bodywork, though GFN 908, the very first Arab IV in the East Kent fleet had a Guy built body of 1950 without platform doors that had been originally intended for an Arab III of Newport Corporation; when Newport cancelled that order, the body was transferred to the East Kent Arab IV chassis. Does Roger Cox mean Bible destination displays? Are these the "Bible" destination blinds shown on the EYMS Beverley Bar Titan on this site? No, the roller blind destination box on these original Brush bodies projected forward from the front bodywork above the cab. A picture may be found on page 10 of the book "Glory Days – East Kent" by Glyn Kraemer-Johnson and John Bishop. Search for AEC Regent 53, JF 1529, and Leyland Titans 54/57, JF 1530/33, which appear fairly near the top of the page. The fitment of this 1931 style of bodywork to the 1936 batch of East Kent TD4 Titans seems to have been a curiously retrograde policy. In 1937 Southern Vectis took two examples of the Bristol GO5G chassis, and then ordered two examples of the later K5G design. 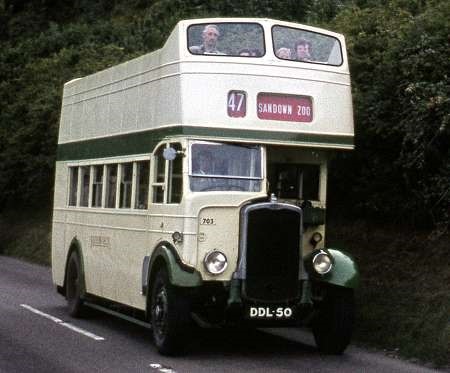 CDL 899, which arrived in July 1939 with fleet number 702, was followed in January 1940 by DDL 50, number 703 which, like its predecessors, had ECW H30/26R bodywork. 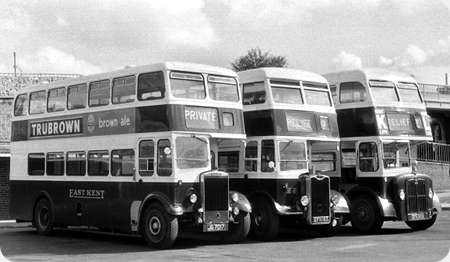 These G and K buses had the high mounted version of the Bristol radiator, whilst all later Southern Vectis K types had the PV2 style. The next K chassis to enter the Southern Vectis fleet came in 1944/45, but these were four K6A machines which were very quickly converted to Gardner 5LW power, and all subsequent K/KS/KSW deliveries had 5LW engines from new. Nos. 702 and 703 were both converted to open toppers in 1959 for operation on the scenic coastal routes, where 702 is seen on 28 August 1967. Sitting “outside” as these veterans climbed up the stiff gradient out of Ventnor was a musical experience to savour. In 1969 703 was converted into a tree lopper, and finally sold off into preservation in 1979, but 702 continued in occasional and promotional service on the Isle of Wight. Happily, both CDL 899 and DDL 50 survive. Living In Portsmouth for twenty years from 1956, I experienced inside and outside rides on both these buses over the years. Outside was always pleasant, both from the weather and mechanical aspects, but inside was a cacophony that assaulted the eardrums. How the drivers ever put up with the noise is beyond me. I always assumed from the vibration that the engines were mounted directly on the chassis. And why did SV ever deign to eschew 6LW engines on such a hilly island, producing vehicles that were hard work for drivers and so sluggish, even these with their roofs cut off! I’m glad that they’ve survived, though! My G certainly is directly mounted and is extremely noisy but vibration in the saloon is low. Fitting a 6LW in a K was not straightforward and I have done it in a KSW which had a re-design to allow fitment but not straight forward. Think on K it would have reqd body mods. There were GO6Gs and K6Gs in South Wales where the hilly operating terrain really demanded them. Significantly none of them had ECW bodies which were fairly standardised. Pontypridd had batches of Beadle-bodied Ls and Ks with both 5LW and 6LW engines and the bodies were significantly different due to the extra length of the 6LW. Merthyr was another regular K6G buyer whilst Cardiff (not as hilly) bought a batch of unique KW6Gs with Bruce bodies. Chris H raises a question which has interested me for a long time; why Tilling companies never had any K6Gs. I may be wrong but as far as I’m aware, until the advent of the KS series, Eastern Coach Works never produced any bodywork into which the 6LW engine would fit. If any companies in the group had a requirement for 6 cylinder power, then it had to be the 6A or the 6B, the Gardner 6LW was never an option. Of course there were Bristol K6Gs, popular with some South Wales municipals and independents such as Silcox but not in Tilling fleets. Similarly, when Hants & Dorset wanted L6Gs, they had to send them to Portsmouth Aviation to be bodied because ECW couldn’t fit the engine into their standard single deck body. I imagine the Bristol radiator could have been moved forward in the style of the Guy Arab but was it the builders who were unwilling to alter their specifications or was it Tilling HQ who decreed that operators couldn’t have 6LWs in the 1930s and 40s? It is said that one of the design constraints of the Bristol AVW engine was that it should fit in the bonnet of the K type chassis, thereby limiting its capacity to 8.1 litres. Not until 1950, when the maximum length of double deckers was increased to 27ft 6ins, did Bristol/ECW offer 6LW powered versions of the K type, the KS and KSW. In these the bulkhead was moved back to accommodate the extra length of this engine. As other correspondents have stated, the K6G/KW6G buses built for municipalities and Silcox all had bodywork from builders other than ECW to incorporate a set back bulkhead. Taking up Chris Hebbron’s point about the challenging Isle of Wight topography for the 5LW, Southern Vectis continued to specify this small engine in the wider, longer and heavier KSW type of which it had 15 examples. 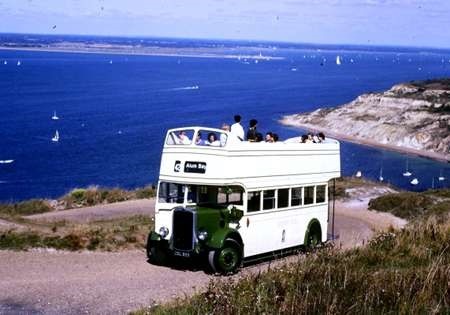 Only when the Lodekka appeared on the scene did Southern Vectis finally accept the 6LW. 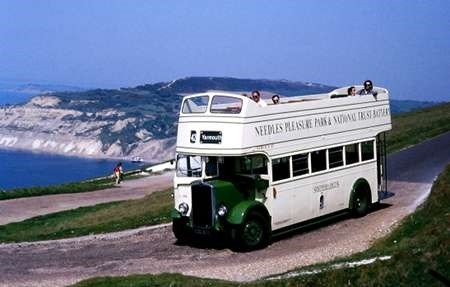 CDL 899 was used for a while on the service to the Needles from Alum Bay and is seen nearing the end of its climb. I did wonder whether the noise could be heard across the Solent! A second photo shows the addition of route branding. Lovely photos, Keith, thx for posting them. can well understand the engine noise on this challenging route. The front design of the ECW bodywork, with its scrunched-up windscreen, has the effect of making the high radiator barely obvious. It certainly was when it was fitted with a wartime utility body! The exchanges over this bus are quite revealing. I have never been closely involved in the bus industry and others may be better qualified to comment. Whereas in pre nationalisation days- the aftermath of the last war- you could obtain (probably beg) a Bristol with AEC engine and Roe body, as nationalisation progressed you could have a K chassis as long as it had a Bristol or 5cyl Gardner engine, an ECW body and any colour as long as it was green, red and/or cream. Choice was restricted and was down purely to chassis length. Later on, the Lodekka even eliminated height as an option: was this, much later and from comments here, the terminal Leyland disease? Certainly the command economy may have been dismantled in the 50’s but lived on for years on the Bristol-Lowestoft axis. Back to the bus and what a lovely example- the odd feature to me is the absence of elfansafety railings on the upper deck- just the side panels raised above the seat backs. If the bus were to topple, that was you done, or overhanging trees, crane jibs or whatever. Tiny mirrors, but then the conductor would watch behind. Happy days! Joe, I don’t think that the product policies of Bristol CV and ECW in the 1950’s and ’60’s were similar to those of Leyland in the 1970’s. 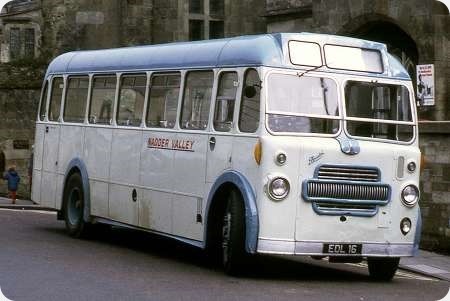 First of all, one must remember that the restrictions were placed on BCV and ECW, who were only allowed to sell to the state-owned operators; while those operators could continue to select whichever supplier they wanted – and, indeed, they did so, particularly the Scottish Bus Group, but the THC also bought Bedford coaches, and sometimes lightweight buses. It is also generally known that BCV and ECW maintained close contact with their customers during that era, and some specialist models were also produced, in numbers that were probably not really economic – I’m thinking of the SC and SU small single deck chassis. The Lodekka was of course a solution that provided the comfort of an highbridge layout within the overall height of a lowbridge bus – with a stepless lower deck floor to boot with the F series models. It is also worth remembering that BCV and ECW were relatively low-volume producers, and their customers did have more choice. As such, significantly wider choices of engines, etc, would probably not have been viable. 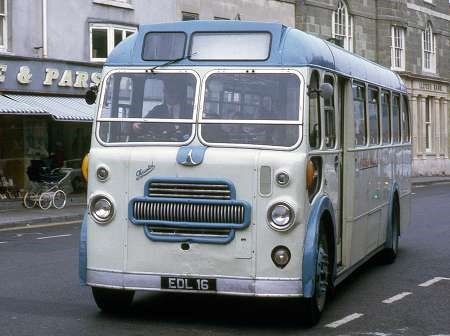 By the 1970’s Leyland had a virtual monopoly of the heavy duty bus and coach market in the UK – and, judging from contemporary reports, seemed to believe that they knew what their customers wanted. I guess that the subsequent history tells us whether that was correct – or not!